I often write about teenage and young adult issues because I hear so many stories from my own kids about their friends. Yesterday my son was telling me this story of what happened to one of his friends. When the boy was a young teenager, due to his parents divorce, he decided to live with his dad. Dad was cool (good parents are not cool) because he would let the boy do whatever he wanted. This boy had all the “freedom” to live life his way. For any teenager, freedom seems like heaven on earth. So he ventured off into the land of doing whatever he wanted, no questions asked. He went to school when he wanted, subsequently missing a lot of time from school. He partied, drank alcohol, did drugs and hung out with like kind friends. Then when his friends graduated from high school, he was not there because he didn’t have enough credits to graduate. As his friends went out into the world to college, relationships, and life, he was still partying with his like kind friends that were going nowhere. This boy had to make money because life without money wasn’t that great. So he decided to sell drugs because a real job got in the way of his partying. Well this kind of life is short lived, and he was eventually arrested and convicted with a felony. 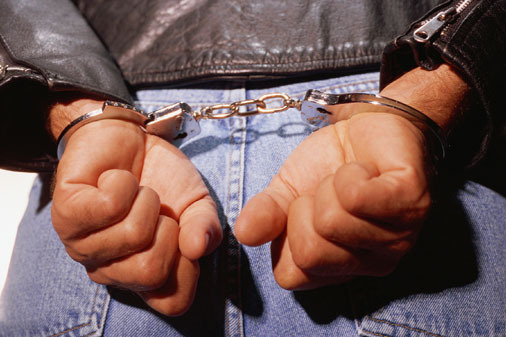 A felony arrest will hurt a person for the rest of their life. Then there were the traffic tickets that went to warrant because he didn’t have enough money to pay for them. Traffic warrants don’t just fade into oblivion. Then one night the inevitable happened. He was the victim of a fight and ended up at the emergency room for treatment. When the police came the take the report about the fight, he was subsequently arrested and is now in jail for his outstanding warrants. In jail he isn’t so “free”. Freedom looks good to a young person who has no idea of the meaning of freedom. Freedom isn’t free. Freedom is earned. It is a right we have but freedom is fought for. Freedom is hard work, saying “no”, standing up for what you know is right, good decision making, and listening to the people who care about you…not the people who won’t be there when you fall. And what may look like freedom to a teenager is actually just the opposite. While his friends were going to school and making a life, he wasn’t prepared for life when school ended. And with a truckload of consequences behind him, he was overloaded with the reality of “I screwed up” and couldn’t handle the new responsibility of all he had to do to get his life back on track. Now he is reevaluating his life and realizing what is important. He wants to clean up his mess and start over. And he never wants to go to jail again because he knows now that real freedom is a constant work in progress. I’m glad for him that he was arrested when he was…before it was too late. I hope just one young person out there reading this will benefit from this boy’s story. If you go down the wrong road you always end up in the wrong place. And this kind of life isn’t so free.